The board of trustees for the Detroit-based Children’s Hospital of Michigan Foundation has appointed Lawrence Burns as its new president and CEO. Some of Burns’ responsibilities for the foundation will include overseeing fundraising, grant making, communications, and operations. 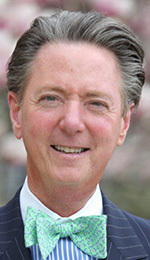 Prior to joining the Children’s Hospital Foundation, Burns served as vice president for advancement at the University of Akron in Ohio, where he managed the college’s enrollment recruitment efforts, as well as the marketing, communications, fundraising, and alumni departments. He also served as vice president of external affairs for the University of Toledo, and worked in development for the Children’s Hospital of Michigan earlier in his career. Burns graduated from Central Michigan University with a bachelor’s degree in interpersonal communications.